Advance your creative talents even more with new, high-caliber graphic tools, including new Symmetry mode, redesigned Fill and Transparency pickers and much more! Design and create with confidence and achieve stunning results. 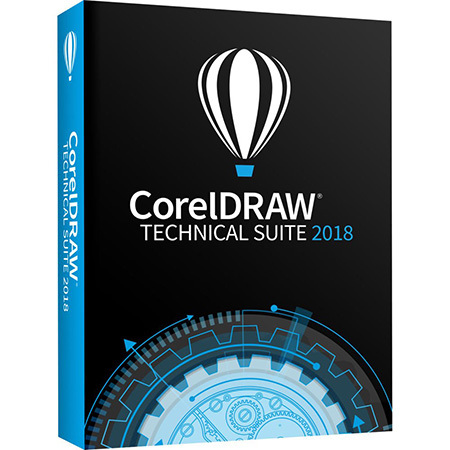 CorelDRAW Technical Suite 2018 by Corel delivers an toolbox of applications to create a wide variety of highly-detailed technical documentation, manuals, instructions and so much more! CorelDRAW Graphics Suite 2019 delivers a collection of powerful creative designing applications, from photo editor to font manager, to satisfy all your design needs and delight your audience. CorelCAD is a affordable solution for drawing detailed elements in technical design with 2D drafting and 3D design tools available in CorelCAD 2019 can increase productivity and performance. To find out more speak to one of our Corel Sales specialists ! Wroffy is a CorelDraw Reseller in India & your trusted provider of Corel softwares. Buy CorelDRAW License for Business fom CorelDraw Reseller in India – Corel is one of the worlds leading software companies, with more than 100 million active users in over 75 countries. Corel develop Graphic Design software’s that helps people express their ideas and share their stories in more exciting, creative, and persuasive ways. Their award-winning product portfolio includes some of the worlds most widely recognized and popular software brands, including CorelDRAW Graphics Suite – CorelDRAW Graphics Suite 2019, CorelDRAW Graphics Suite 2018, CorelDRAW Graphics Suite x8, CorelDRAW Technical Suite x7 , Corel DESIGNER Technical Suite, Corel Painter, Corel PaintShop Pro, Corel WinDVD, Corel Word Perfect Office, WinZip, Corel Digital Studio, Corel VideoStudio, CorelCAD, PDF Fusion and System Utilities. Wroffy Technologies is a CorelDraw Reseller in India with presence in Pan India – Mumbai, Gurgaon, Delhi , Noida, Chandigarh, Hyderabad, Pune and Bangalore. Combine your creativity with the unparalleled power of CorelDRAW Graphics Suite 2019 to design graphics and layouts, edit photos, and create websites. Advanced support for Windows 10, multi-monitor viewing and 4K displays, the CorelDRAW Graphics Suite 2019 suite lets first-time users, graphics pros, small business owners and design enthusiasts deliver professional results with speed and confidence. Discover high-caliber and intuitive tools within your graphic design software to create logos, brochures, web graphics, social media ads or any original project. Buy CorelDRAW Graphics Suite 2019 License at best price from Wroffy Technologies – CorelDRAW Partner in India. Create and deliver impactful technical communication content with intuitive connectivity, accurate technical illustration tools, and expansive file compatibility. Get right to work in a customizable environment with pen and touch support, professional image editing and advanced standards compliance. Buy CorelDRAW Technical Suite 2018 which provides dedicated illustration assets for technical instruction and collaboration in print, online and mobile. CorelDRAW Technical Suite 2018 is the easiest and fastest technical illustration software to author visual communication projects in a technical world. Buy CorelDRAW Technical Suite 2018 License at best price from Wroffy Technologies – CorelDRAW Reseller in India. Looking for World’s best graphics designing software ? You are at right place. Buy CorelDRAW Graphics Suite 2019 which give your creativity a another level. With CorelDRAW Graphics Suite, explore new professional graphics possibilities on across operations system like Windows, Web and macOS. Corel has recently announced three new products in the CorelDRAW software family – CorelDRAW Graphics Suite 2019 for Windows, CorelDRAW Graphics Suite 2019 for Mac and CorelDRAW.app. CorelDRAW Flexible pricing for business makes easier for business to leverage CorelDRAW Graphics Suite 2019. Even if you are buying for large enterprise or business Wroffy – a CorelDRAW reseller has a solution ! Wroffy is a CorelDRAW Reseller India which lets you control of your organization’s software licensing assets for running a successful business. Corel provides significant volume licensing for CorelDRAW to provide flexibility for larger organizations in the commercial, government and education. 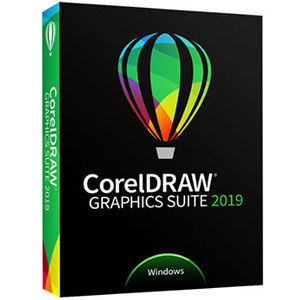 CorelDRAW Graphics Suite 2019 for Windows and CorelDRAW Graphics Suite 2019 for Mac are available as separate graphics software products that each support one platform (Windows OR Mac). Whether you’re a graphics expert, or a business producing in-house design, passionate about pixels, obsessed with flawless output, or in love with layout, you’ll find all the professional graphic design tools you need to work faster, easier, smarter, and in more places including on the go with newly launched CorelDRAW.app ! Buy CorelDRAW Graphics Suite 2019 from CorelDRAW Partner which has the versatility to satisfy any creative needs – Wroffy is a CorelDRAW Reseller in Gurgaon offers CorelDRAW Volume Licensing for Business, Enterprises & Education Institutes. When you Buy CorelDRAW from Wroffy Technologies which is leading CorelDRAW partner in India, you get free remote installation support from Wroffy.